WHAT I LIKED: Pawel Pawlikowski's 'Ida,' saw concise, minimalist cinema unlock an extremely meditative experience about the limits of faith and family, but his new film 'Cold War,' uses that kind of storytelling to create a far rawer, more direct film about love and lust that brings the most basic and yet complex human emotions to life utterly perfectly. Yes the story here closely follows the relationship between a young music student and her teacher - exclusively portraying the intense, magnetic attraction that they have for each other at different points over many years and countries - without ever remotely addressing the dilemma of whether they should be together with all of the obstacles that they encounter. What's so perfect about it though is that it's all brought to life so visually and concisely as Pawlikowski's minimalist cinema again gives us everything we need to feel and know far more organically than most films ever achieve. The way characters are framed, the way the camera looks at them, and the expressions and posture of the actors involved is always the best way to understand and connect with something (a fact which is especially the case when it comes to love) and it's those sort of techniques that everyone involved in this film have clearly devoted themselves to. The result is one of the most astute and artful muses on love that I have ever seen on screen. None of that would have been possible though without two outstanding central performances, as Joanna Kulig and Tomasz Kot not only share real chemistry but they also build thoroughly captivating characters in their own rights to magnify the impression of attraction and desire that bleeds from their relationship. This is also furthered by the luscious cinematography and the musical sequences too, as these not only help to build an almost whimsical and indulgent atmosphere, but the arrangements also serve to develop the character connections even further. In the end though the message is clear - love and lust trumps all, and the way those feelings in the central relationship are portrayed in such a captivating visual way will mean you can't and won't question that at all. This is the ultimate romance film - it's Pawlikowski's best work yet, and it's easily one of the best films of the year overall. WHAT I DIDN'T LIKE: There are times when the storytelling feels a little too concise. VERDICT: Pawel Pawlikowski devotes his attention to the all-consuming power of love and lust by portraying a relationship extremely visually and organically, and the result is one of the best muses on the topic that I have ever seen. 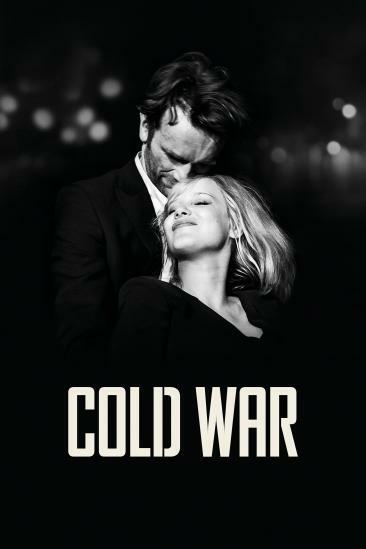 'Cold War,' is another modern masterpiece, and it needs to be seen by all.